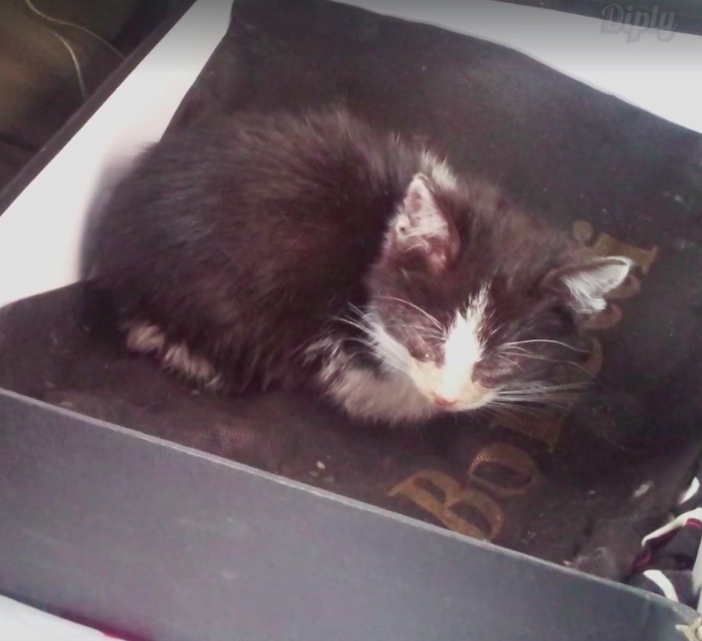 n December 2014, A tiny tuxedo kitten was found abandoned in a box all alone. The couple took him in and nursed him back to health. But it was not an easy ride. He was not in good shape. His eyes were stuck shut, and he refused to eat or drink. He was clearly very sick and the vet wasn’t sure if he’d even survive. But the couple refused to give up on him. Over the next week, the couple did their best to get him to eat so that he would start to heal and get stronger. At the end of the week, the kitten finally began to eat on his own. After that, he perked up and seemed like a whole different cat. 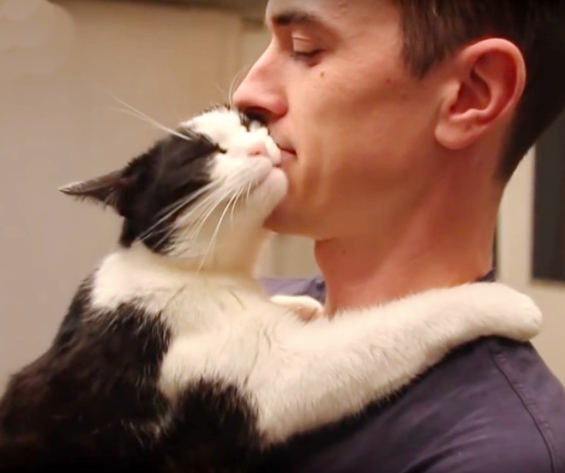 He was just so relieved to finally be living in a warm, loving home. 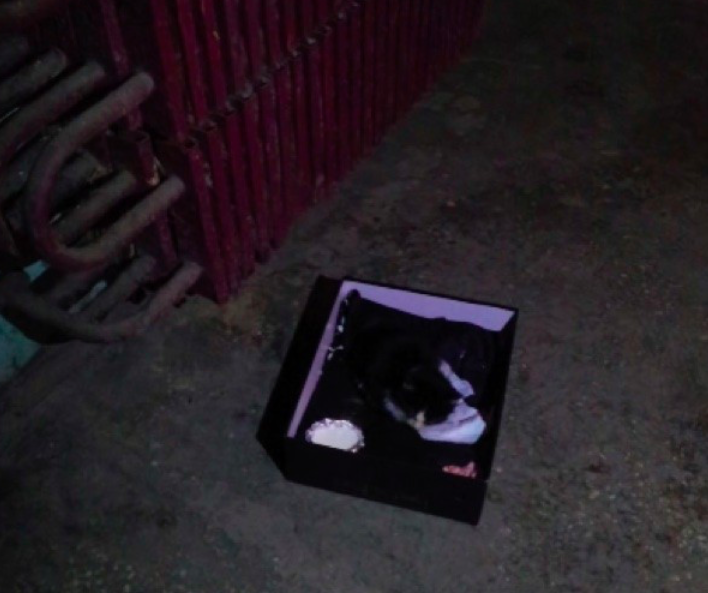 The cat, whom they named Catpusic, pulled through and made a great recovery. 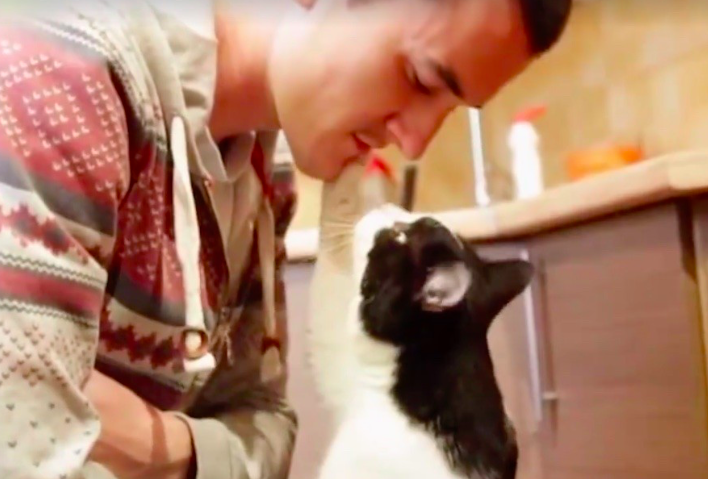 Now, two years later, Catpusic likes to show his humans his gratitude by showering them with kisses. He is constantly following them around the house, demanding love and attention. 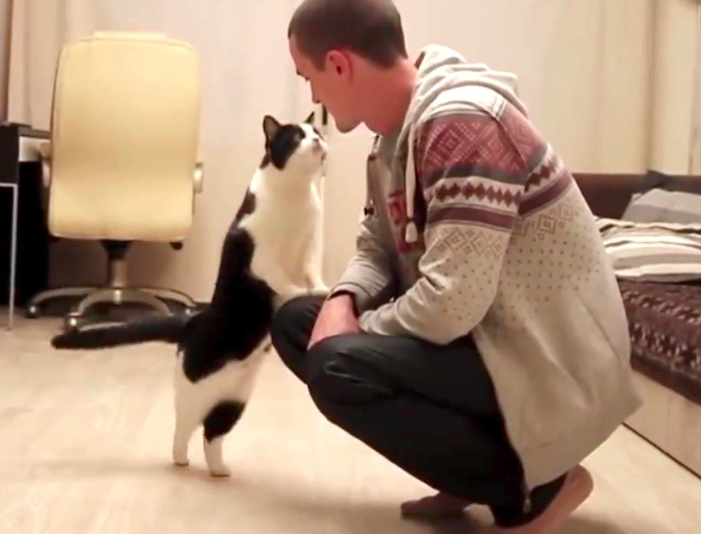 It’s not often you see a cat this affectionate, but it’s very sweet and heartwarming to see! He is just so grateful that he was rescued, and so are we!